A clogged sewer line can cause your toilet to flush slowly and fill to the rim with water after flushing. If this happens, and plunging does not help, call Texas Slab Leak Repair for sewer line replacement in the Dallas ft worth area. 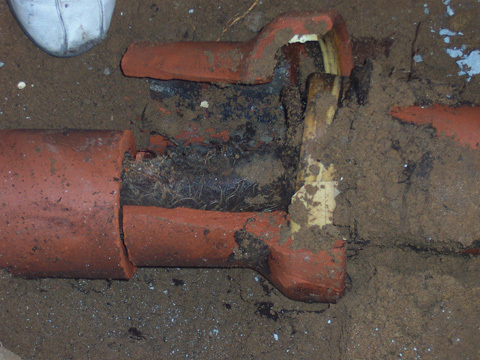 A sewer line can be repaired by a professional plumber with the knowledge and experience the can rapidly unclog, repair or replace a sewer line. However, the older the sewer line becomes, the greater the chance for clogging or there could be roots in your sewerline and the more likely sewer line replacement will be necessary. 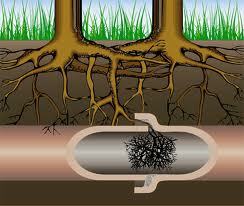 Owners often waste money by repeatedly cleaning the line instead of replacing a clogged or damaged sewer line. If your sewerline backs up repeatedly and you suspect a sewer line problem, call the experts at Texas Slab Leak Services and we will diagnose the problem and determine if the system is simply clogged and can be quickly cleared, or if sewer line replacement is necessary. Our well trained sewer leak detection service technicians have various plumbing tools at their disposa l that will perform a precise sewer leak location. These tools can detect sewer odor, can video inspect the sewer pipeline, and can perform line tracing in the event the pipe has to be replaced. In the event that electronic leak detection or pipe video inspection does not reveal the source of the sewer leak, smoke testing can be used. The process involves injecting a harmless smoke into the sewer system to see where the smoke leaks are so that the lines can be repaired or replaced at the correct location. Copyright 2011 Texas Slab Leak Repair. All rights reserved. 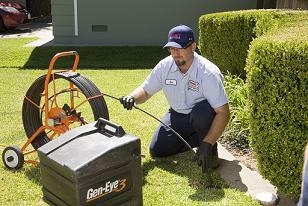 We have Have 4 Locations in the North Texas area to Service all areas.